Secondary education in Tauranga began in 1900, with the establishment of a district high school joined with Tauranga School. 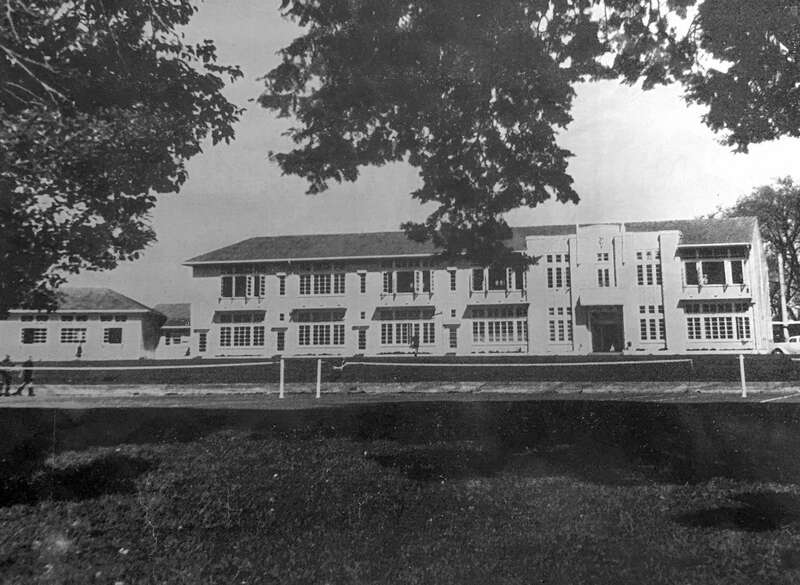 By the mid-1930s, the buildings were inadequate for use, and a push for a separate secondary school began. 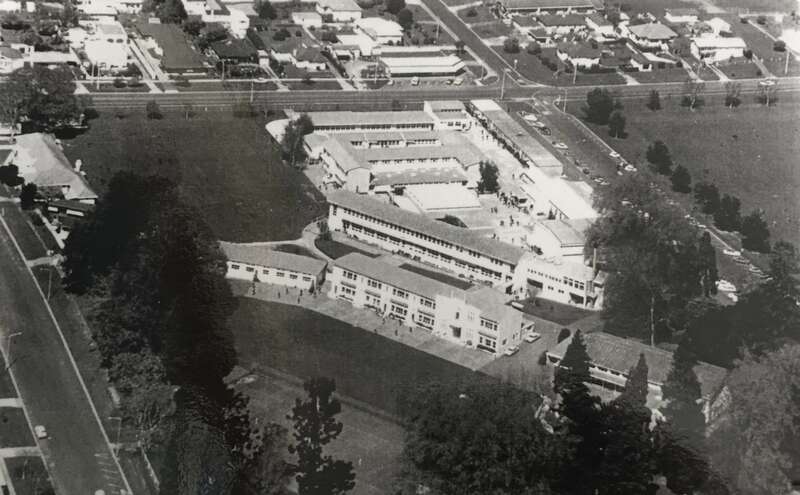 In 1937, the Education Board purchased the motor camp "Hillsdene", originally one of the 10-acre (40,000 m2) blocks laid out after the Battle of Gate Pā. However, World War II delayed building on the site until 1944. 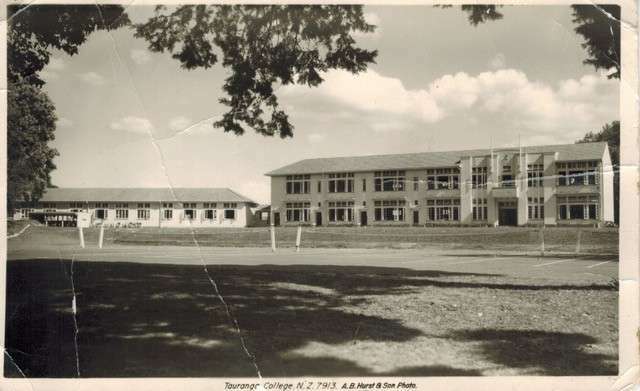 After two years of building, Tauranga College was opened on 5 February 1946. 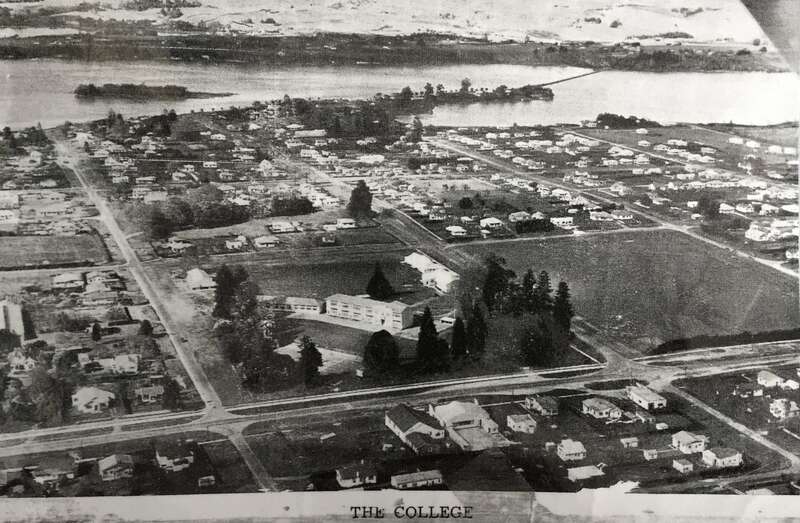 The college ran until 1958 where due to overcrowding, female students moved to a newly built campus, which was named Tauranga Girls' College. 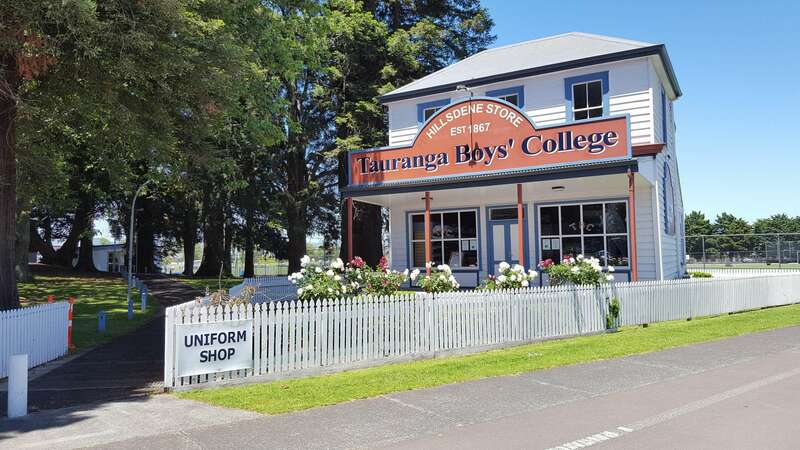 Male students remained in Tauranga College, which became known as Tauranga Boys' College. The College seeks to honour our past while creating our future. This includes honours boards recognising top scholars and New Zealand representative sportsmen, the naming of buildings after former principals and assorted trees and memorials for World War II Casualties and students who died whilst enrolled. 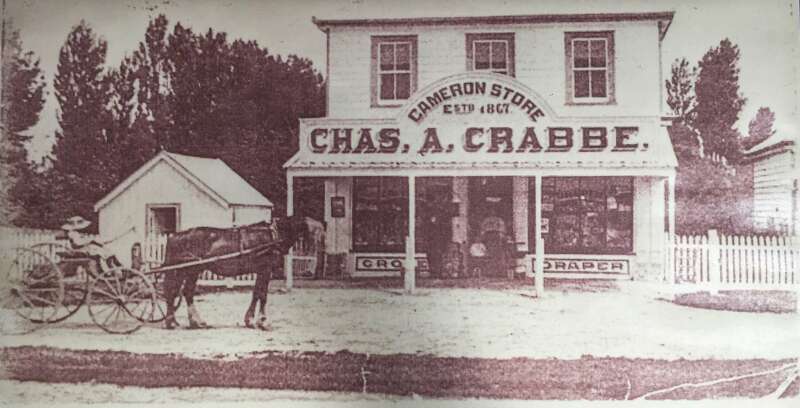 Crabbe Store (above) 405 Cameron Road was built in 1877. 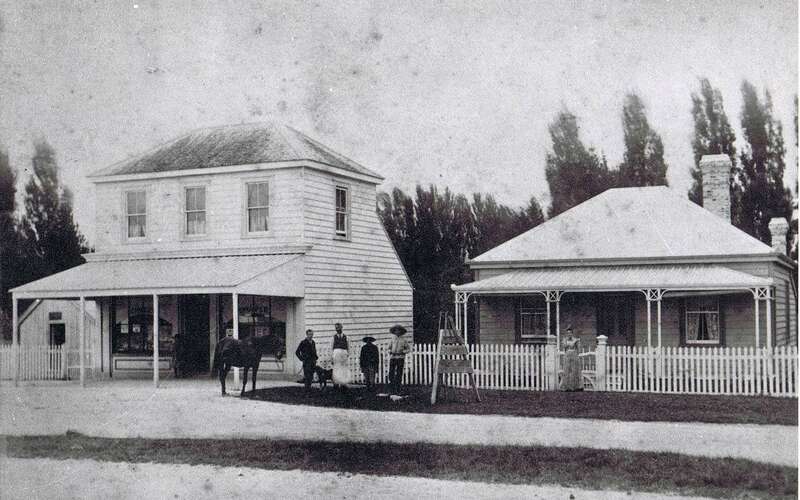 Crabbe Store was relocated to Tauranga Boys' College "Hillsdene" site in 2003 where it remains today and is utilised as our Uniform Shop.